VRaptor SpeedWorks, LLC has dozens of different louver designs available. Hood louvers, fender louvers, hatch louvers or wherever you need increased air flow, we likely have a louver design to meet your needs. If you’re looking for a specific size or shape, we can design custom louvers for a perfect fit for your particular application. Whether you own a Factory Five GTM, Corvette, Subaru, BMW, Cobra/Roadster kit, Honda, etc…..no matter what you drive, we can help you find louvers that will fit your requirements. Our EZ-Install line of louvers come in many different sizes and shapes to meet your needs. These are the easiest louvers to install. The outer perimeter of the louvers mounts directly to the top of your hood and covers up the cut edge of the hole trimmed in the hood, so getting your hole cut to perfection is not required and you get a clean, professional finished look once the louvers are installed. These are not just cosmetic add-ons. These are fully functional louvers designed specifically to increase airflow, reduce under-hood temps and relieve pressure under the hood and fenders to increase effective downforce. Again, these are available in many different sizes and shapes to fit virtually any vehicle you need to fit them to. Looking for some custom louvers for your Miata, S2000, BMW, 350z, 370z, Subaru WRX or other weekend race car? We have ’em! 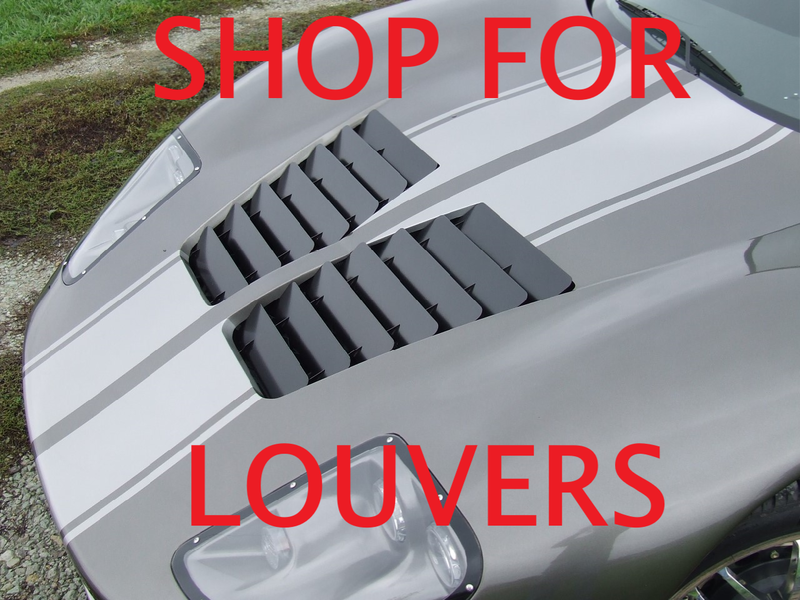 Need Louvers for your Factory Five Roadster, Cobra kit, Factory Five Type 65 or 818 Kit? This is the page for you. Please note that we also have an entire line of APR Wings and wing mounts available at the lowest prices you’ll find! And last but not least, an entire page of custom louvers and dozens of other handy parts specifically designed for the Factory Five GTM.